Acrylics colors for Novorossiya vehicles (6 x 17ml). In 2014 the eastern regions of Ukraine Donetsk and Lugansk (Donbas), part of the New Russia, rebelled against the central government and began a protracted war mainly supported by the Russians, providing armored vehicles to separatists. Although initially the "rebels" used vehicles captured from the Ukrainian army, with time new vehicles of Russian origin begin to appear. 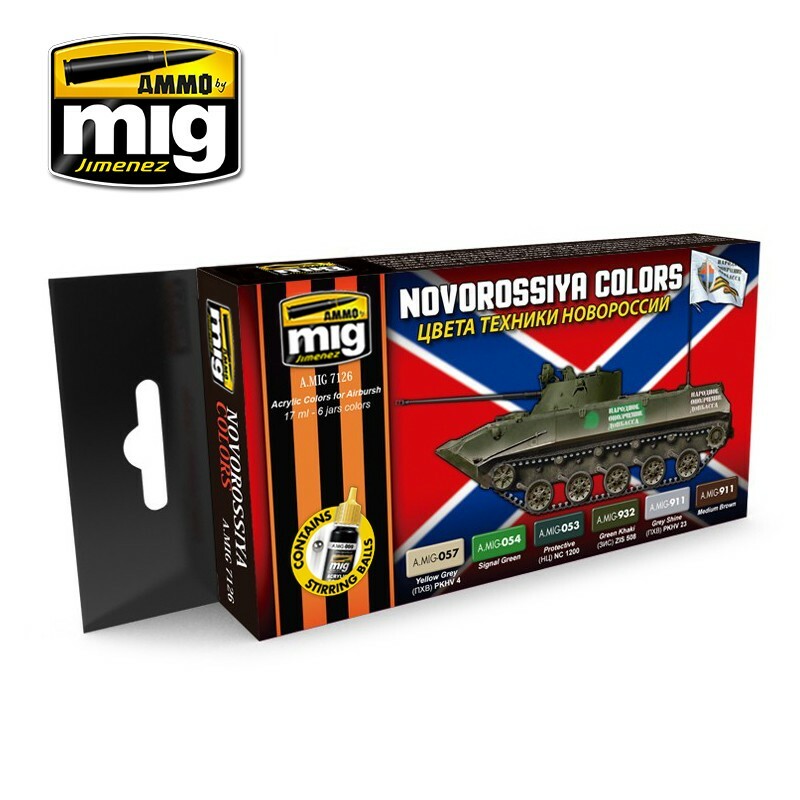 As the Ukrainian army used many colors in common with the Russian army and everything was mixed in the battlefield, the rebels decided to use a highly visible and common green, the color A.MIG 054, to identify and distinguish their vehicles from Ukrainians. 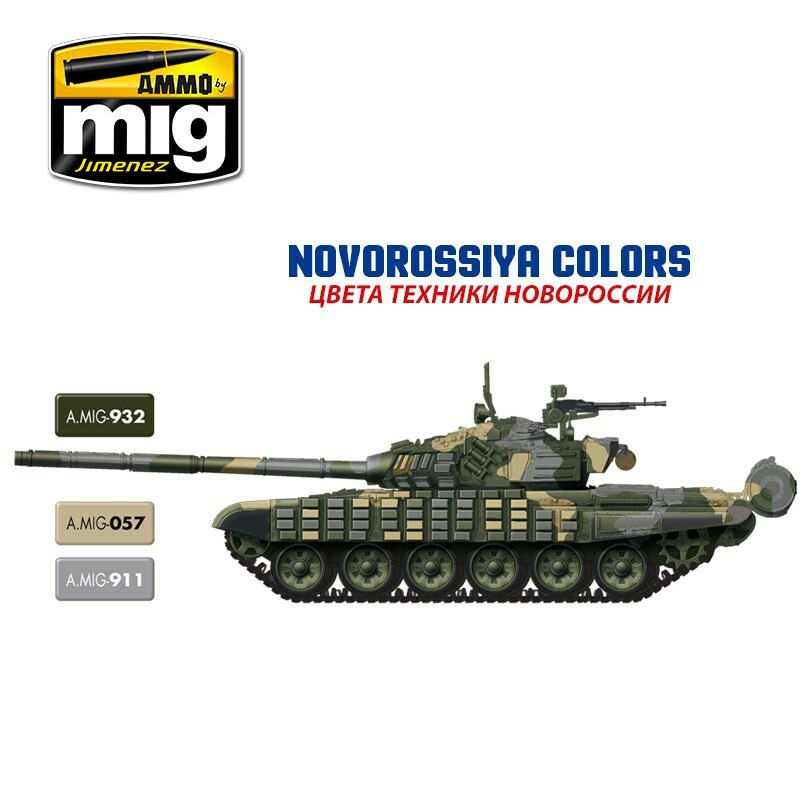 The range of colors used on the rebel vehicles is immense and varied and to represent all of them it is necessary use the set A.MIG 7109 MODERN RUSSIAN SET COLOR and set A.MIG 7125 UKRAINE ATO COLORS, but in this set you have a selection of the most common colors seen in tanks, vehicles, and trucks. 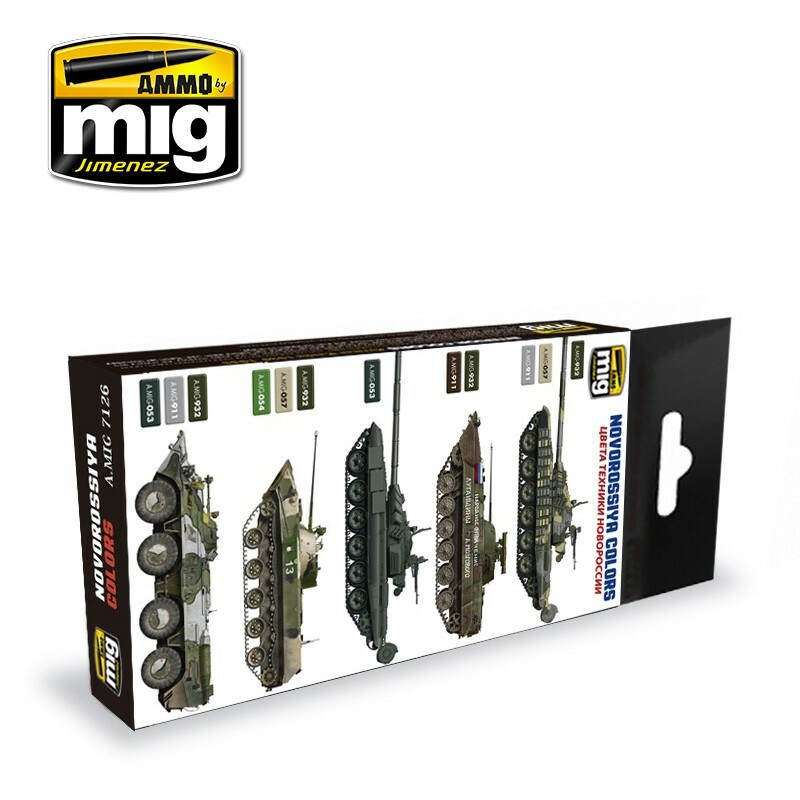 The A.MIG 57, A.MIG 932 and A.MIG 911 colors are some of the most typical Russian and Ukrainian army colors. 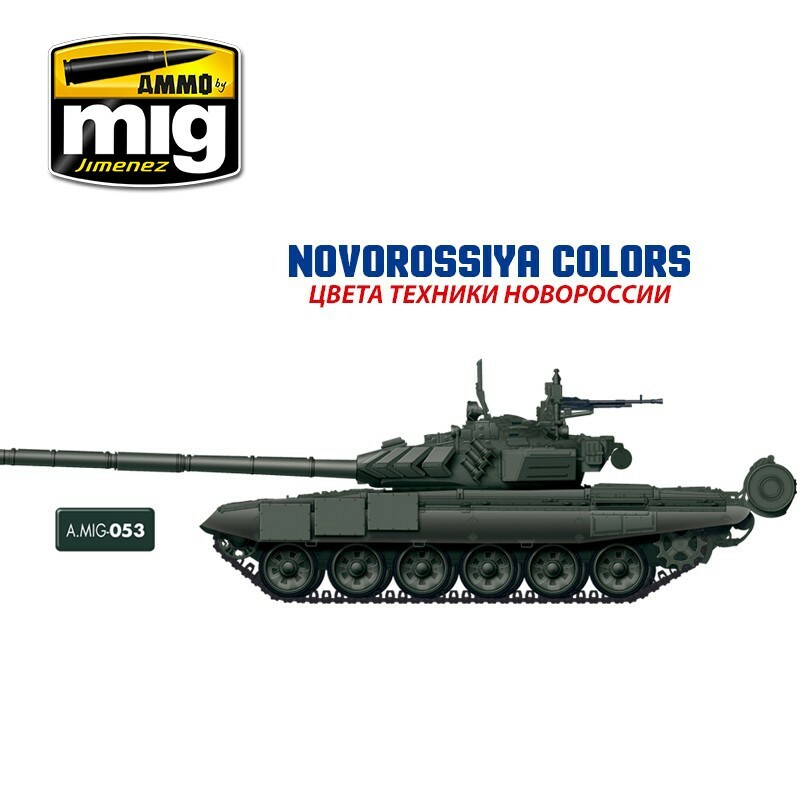 The A.MIG 070 color is from Russian origin, although the amount of different brown colors seen is extensive. 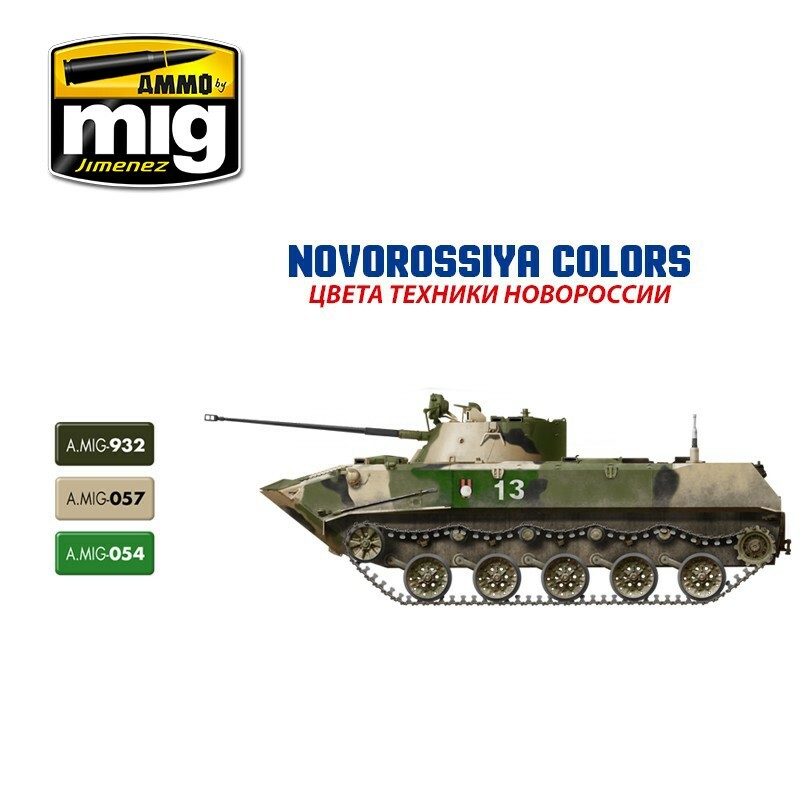 The A.MIG 053 NC1200 is a very special color; it is used today on all Russian combat vehicles and is significantly different from all previous Russian colors. This color has been used in many rebel vehicles supposedly provided by the Russians.